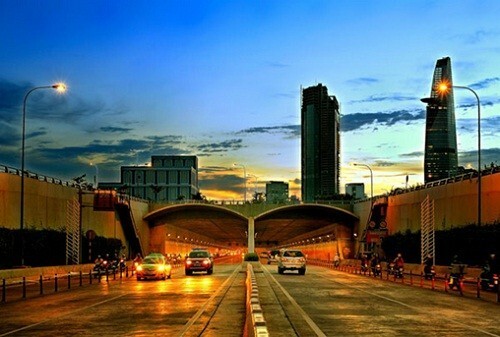 Thu Thiem Tunnel is an underwater tunnel that opened in 2011. It runs underneath the Saigon River in Ho Chi Minh City. It is 1.5km long, 33m wide, 9m high and has 6 lanes.